The price difference between a base GLE550e and GLE43 AMG performance version isn't as wide as you might imagine. Consider carefully your "need for speed" when shopping—the GLE550e is still plenty brisk. It's offered in base form as a GLE350, but can be optioned up to a plug-in hybrid GLE550e, or Mercedes-AMG-branded GLE43, GLE63, or GLE63 S versions. 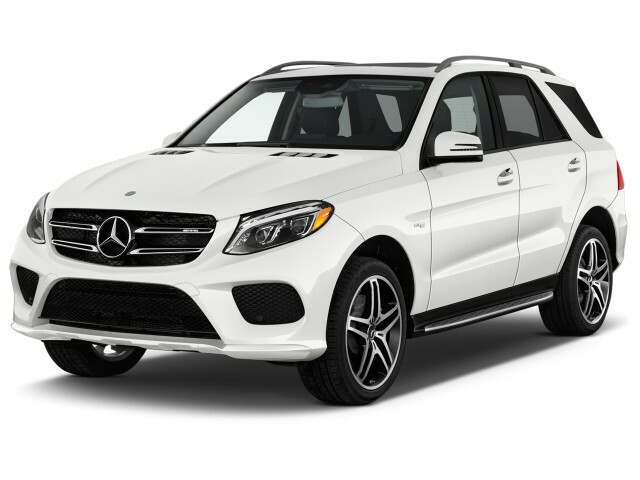 The GLE43 and GLE63 S are also available in a "coupe" body style that sacrifices some interior head room and cargo capacity for a daring roof line. Who said beauty isn't pain? 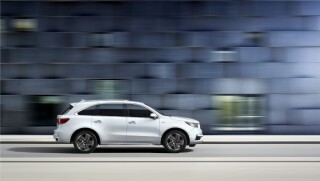 This year, Mercedes dropped the turbodiesel version, although there are still a bevy of powertain options for the SUV. The GLE-Class may be a new name for some, but it's a relatively old model for Mercedes-Benz. Last year, Mercedes revamped the M-Class name with some new bodywork and an updated interior and slapped on a GLE name to better fit with their naming scheme. The new face for the GLE-Class even aligns closer to the rest of the Mercedes-Benz lineup. Inside, a new revised instrument panel aligns more closely with luxury sedans such as the S-Class and C-Class, with a single floating 8.0-inch infotainment display. The plug-in GLE550e comes with a 329-hp, direct-injected 3.5-liter V-6 with a hybrid module of 114 hp net output, for a total output of 436 hp and up to 19 miles of electric driving. The plug-in GLE also has four driving modes ranging between all-electric and hybrid, as well as battery-saving and charging modes. Recharging its 8.8-kwh battery on a 220-volt charger takes about two hours. From there, a new Mercedes-AMG GLE43 (nee GLE450 AMG) is a twin-turbo V-6 and is rated at 362 hp and 384 lb-ft, with a 9-speed automatic. 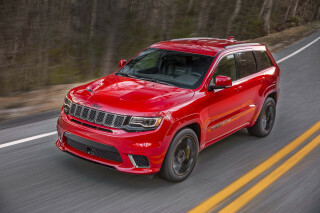 If self-restraint isn't in your vocabulary, GLE63 and GLE63 S models stuff a twin-turbo 5.5-liter V-8 that is rated at 550 hp and 577 hp, respectively. Both are fitted with a 7-speed automatic and can sprint up to 60 mph in about 4 seconds. Coupe models are only available as GLE43 or GLE63 S editions, with similar performance and AMG tuned adjustable dampers that can stiffen the ride to take little leaguers to practice in a hurry and own all the apexes along the way. Combined mileage for the base version hovers around 20 mpg, according to the EPA. Higher performance models are predictably thirsty at about 15 mpg combined, while the plug-in hybrid manages 21 mpg combined, or about 19 miles on all-electric drive. The GLE-Class is luxurious and comfortable, first and foremost. The new GLE-Class takes cues from the outgoing M-Class and boasts comfortable seats up front, with plenty of room in the back for adults—although we'd hesitate to stuff three in the back for a long drive. Standard power adjustable heated front seats are bolstered well enough for all-day drives without being too soft. Optional AMG sport seats increase the bolstering without overshooting the GLE's mission of being a family-friendly hauler. GLE SUVs have more the 36 cubic feet of cargo room with the seats up—GLE Coupes have 23 cubic feet, but no foldable rear seats—with enough storage space inside for typical day-to-day items. The Coupe models sports a lower-slung roof thanks to its dramatic roofline, but it comes at a cost of practicality. Coupe models still offer a decent amount of leg room, and are easy to climb aboard, but 6-footers will notice that their heads nearly touch the (already carved out) roofliner. Regardless of model, the GLE-Class manages to be quiet and composed, with a good ride and predictable road behavior. The GLE Class has good safety credentials, bolstered by good crash ratings. The GLE is a Top Safety Pick+ by the IIHS, although federal testers haven't yet released their full ratings. Base equipment for the GLE SUV includes power adjustable heated front seats, Bluetooth connectivity, power sunroof, power liftgate, leatherette upholstery, dual-zone climate control, 19-inch wheels, keyless ignition, a rearview camera (newly standard this year), and 8.0-inch display. Other features that are available include ventilated front seats, heated rear seats, soft-close doors, a panorama sunroof, heated/cooled cupholders, and satellite radio. An off-road package that was available last year is gone, perhaps a reflection of the car's more urban mission. The GLE-Class is handsome, top to bottom, with some daring "coupe" options that stretch the definition of the word, but are standouts on the road. The 2017 Mercedes-Benz GLE-Class may be a new name, but it's an old look that's been refreshed for the current lineup. In the scope of mid-size SUVs, the Mercedes is a refined look with a wider, more road-oriented stance, and a somewhat car-like look. The GLE-Class was most recently changed last year and the changes are most noticeable from the front, where the GLE gets more emphatic front-end styling. The new front-end appearance has a more drawn-back air dam, chunkier grille, and sculpted fenders, and it carries into all the new GLE models, not just the GLE Coupe. From the side the GLE SUV sports larger wheels and metal side steps to help bring the GLE a dressed-up look, while LED lighting establishes a modern look. In back the GLE-Class is a little generic, albeit handsome and formal. All models get rectangular exhaust outlets and lower rear details that enhance the look. Like the BMW X6 and others jumping into the newly crowded SUV "coupe" class, the GLE coupe is a dramatic interpretation of what a utility vehicle could be. The French curve from the roofline extends all the way to the back of the car and back into a lipped spoiler built into the hatchback. 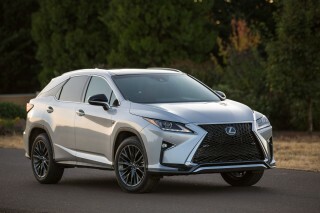 The style along the sides is softer and more organic to match the roofline, but the sum total of all those curves still results in a chunky five-door fastback and a low-set SUV. Inside, the GLE-Class hasn't dramatically changed since it was called the M-Class, but it gets a series of details that help bring it in line with the new S-Class and C-Class sedans. 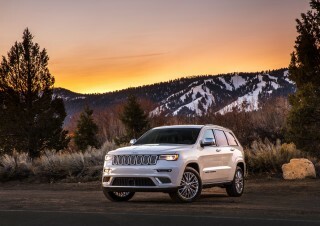 Freestanding infotainment screens, revamped sport seats, and newly styled, somewhat smaller steering wheels all help establish a somewhat sportier ambiance for the lineup. Base V-6 power all the way up to fire-breathing twin-turbo V-8s offer GLE buyers opportunities for flexibility, fuel-efficiency, or outright go-fast. The Mercedes-Benz GLE-Class boasts one of the wider ranges of powertrains, ranging from a fuel-efficient plug-in hybrid to a blisteringly fast turbo V-8 that's one of the swiftest in its class. GLE Coupes get the top-end performance version with a turbo V-6 or turbo V-8 available underfoot. The base engine this year is a gas-powered V-6, which is a 3.5-liter, 60-degree V-6, that we think is among the best in class. Its predictable 302 horsepower and 275 pound-feet of torque is mated to a 7-speed automatic that propels the GLE350 up to 60 mph in 7.5 seconds. 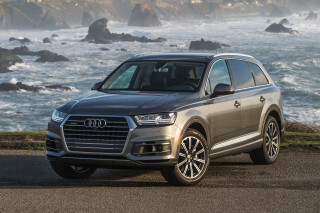 The turbodiesel is gone this year, but a fuel-efficient plug-in hybrid has taken its place. It mates a 329-hp, direct-injected 3.5-liter V-6 with a hybrid module of 114 hp net output, for a total output of 436 hp and up to 19 miles of pure electric driving. The plug-in GLE also has four driving modes ranging between all-electric and hybrid, as well as battery-saving and charging modes. Recharging its 8.8-kwh battery on a 220-volt charger takes about two hours. While the GLE550e offers fast and strong performance, its powertrain doesn't feel quite as perfectly coordinated as the rest of the lineup. While it can deliver a system torque of 479 lb-ft, you'll need to switch the controller over to the Sport setting to make the best of it. 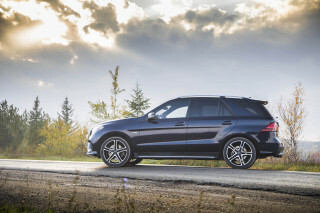 Top performance models include a GLE43 that uses a twin-turbo 3.0-liter V-6 to produce 362 hp and 384 lb-ft of torque mated to a 9-speed automatic. The GLE43 might seem like a sweet spot between power and comfort for the GLE, but it aligns more closely to a performance model than a daily driver. Its 362 hp power comes on strong, but a driver-selectable mode for Sport adds some noises that we wouldn't typically associate with a family car. The GLE43 can certainly hustle with bigger engines from BMW and Audi, but the suspension still has a soft touch that could result in some sliding and sloshing around the cabin. If that doesn't inspire you enough, a twin-turbo V-8 sits atop the range and produces heady numbers, affixed to an equally eye-watering price tag. The GLE63 makes 550 hp and 516 lb-ft of torque for more than $102,000, or an uprated version in the GLE63 S makes 577 hp and 561 lb-ft for nearly $110,000. Acceleration to 60 mph happens in as few as 4.2 seconds, and top speed is set at 155 mph. 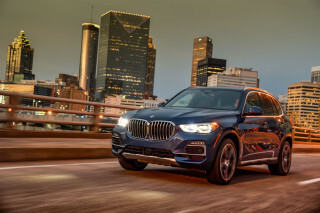 While it's not quite as outrageous as the X5 M in terms of seat-of-the-pants thrills, it offers an experience that may push your buttons more often in straight-line performance situations. In coupe versions, only the GLE43 and GLE63 S models are offered, and while it's not quite as outrageous as the X5 M in terms of seat-of-the-pants thrills, it offers an experience that may push your buttons more often in straight-line performance situations. The Mercedes 4Matic system again provides an even torque distribution of 50/50 between the front and rear axles (the AMG version has a rear-biased 40/60 setup), or nearly all torque to the wheels that can use it best for traction. Tow ratings are as high as 7,700 pounds for top-spec versions. All-wheel drive is standard on all models except the GLE350, where it's available as a $2,500 option. Based on rather brief first-drive opportunities, we've found that the GLE still manages to perform remarkably well on the road, considering its rugged ability set. 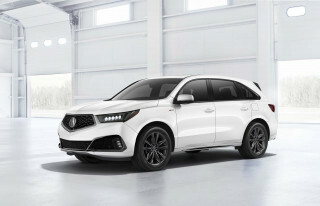 Six-cylinder GLEs will roll on steel springs with conventional dampers, while top models offer Mercedes-Benz's first suspension in a utility vehicle to combine air springs with continuous damping (the Airmatic and Active Damping systems is an option on the V-6 GLE). Active anti-roll bars are also available—they're standard on the AMG models—that offer even more impressive roadholding albeit with some apparent sacrifice in ride (it's simply busier, with more tramlining and less-relaxed straight-line stability). In the GLE, Individual, Comfort, Slippery, Sport and Sport+ modes are configured for the best traction in that given situation, with modes now controlling chassis, steering, powertrain, and suspension settings, as well as engine sounds. Steering tends to involve more small adjustments than we'd like in Comfort mode, while Sport mode actually feels settled and more relaxed. Performance-oriented AMG models add a Sport+ mode to shake up any ride home from school. Smooth, quiet, and comfortable, the GLE is fairly spacious in SUV and coupe forms. The Mercedes-Benz GLE Class is a luxury vehicle, first and foremost, with luxury accommodations for up to five and a smooth, quiet ride. Up front, the GLE's seats are carried over from the old M-Class, which are well-contoured and soft, yet all-day supportive. Adults will fit into the second row, although stuffing three across won't be entirely comfortable. The rear seat backs are adjustable and even with four passengers there is more than 36 cubic feet of cargo space behind the second row. The GLE's ride is tight and quiet, although there are a few exceptions. The standard suspension provides good comfort but also responds well when you push it in corners. There's a rather wide difference between modes with the available air suspension and adaptive damping system. Although Comfort provides more of a traditional luxury-car ride, Sport allows a crisper feel at turn-in, with only a slight bit more harshness. Coupe models offer a sportier, lower slung presence on the road thanks to their sloped roofline, but the price is paid in terms of practicality. Coupe models still manage to deliver decent practicality in terms of leg room and ease of entry, although it's deficient in head room—to the degree that 6-footers on up will find their head making contact with the already carved-out headliner. That said, the GLE Coupe offers nearly as much cargo versatility, as we see it. Unless you plan to stack cargo at the far rear of the vehicle—where it would impair visibility anyway—you're really not giving up much functionality, as GLE Coupe models still offer a pretty low, long, and wide flat cargo floor. Coupe models have 23 cubic feet of cargo room behind the second row. The data is incomplete, but what's in so far is stellar. Federal testers haven't yet crashed the 2017 Mercedes-Benz GLE Class. The predecessor to the GLE-Class was the Mercedes M-Class, and like most Mercedes-Benz products, the M-Class had a very strong safety record for years, with technologies and design going above and beyond federal requirements. Mercedes' bundle of advanced safety tech includes adaptive cruise control, blind-spot monitors, active lane control, and forward collision warning with automatic emergency braking, which earned the IIHS' top rating of "Superior" when equipped. Mercedes also bundles an attention assist feature that recommends regular breaks during long drives to keep attention on the road. The GLE-Class also features a full complement of air bags, including driver and passenger front and side airbags, curtain air bags for both rows, and a driver's knee air bag. A rearview camera is standard this year on all models, and a surround-view camera system is optional. Altogether, the GLE offers a bevy of optional safety equipment that should make the SUV more aware of its surroundings, and a good record of crash-test data if the worst happens. We anticipate the rating will improve once federal testers complete their evaluation. Well-heeled parents can get front-seat massages while children grind cereal into supple nappa leather. Where Hermes meets Happy Meals, you'll probably find the 2017 Mercedes-Benz GLE-Class. This year, the luxury family ride is offered in GLE350, GLE550e, GLE43, GLE63 and GLE63 S trims. The GLE43 and GLE63 S trims are also available as a "coupe," which may be a liberal definition of the word, but they're also liberally appointed. C'est la vie. The luxury ride starts at $52,925 and can run all the way into six-digit territory. Opting for the GLE550e adds standard leather seating, adaptive suspension, a suite of advanced safety features (that we cover separately), adaptive suspension, an upgraded sound system, and navigation in addition to the upgraded hybrid powertrain. Stepping out of efficiency and into near-lunacy for AMG performance models adds a long list of improvements including aluminum trim, aggressively bolstered, perforated sport seats, an AMG steering wheel, and AMG badging and trim. GLE Coupe models are a huge step up, pricing-wise, and they only come equipped in GLE45 and GLE63 S 4Matic trims for the U.S., but the standard-equipment list is superb, with a sport steering system, air suspension with continuously variable damping, the Active Curve System with active roll stabilization, advanced safety features, AMG sport seats, and a Nappa leather three-spoke steering wheel. In addition to the usual family-friendly options (rear-seat entertainment) MB offers a parking package with a surround-view camera system and parking assist. An AMG Line appearance package puts on 20-inch wheels and MB-Tex upholstery, with Nappa leather an option; a Night Package blacks out much of the trim and fits 20-inch black gloss wheels. The base audio system is passable, but optional systems from Harman Kardon and Bang & Olufsen relay superb-sounding tunes from their speakers to passengers. Although the infotainment system and controls are dated, all the main points are here: an SD card reader, 10 GB of storage, CD player, HD radio, and Bluetooth connectivity. A lone USB port is stashed in the center console. Although it has been continuously refined over the years, we're still not all that enthused about MB's COMAND screen-based interface, which includes a rotary/button controller, placed just ahead of the driver's right-hand armrest—as well as a corresponding capacitive pad that will allow you to trace letter in some instances. The diesel is gone this year, but a plug-in hybrid is here to be the fuel-mileage king (or queen). The 2017 Mercedes-Benz GLE Class still offers a dizzying array of powertrains, albeit one fewer than last year's version. Adding all-wheel drive, which Mercedes calls "4Matic," drops those figures down to 18/22/19 mpg. New for this year, a Mercedes-AMG GLE43 coupe drops in a turbocharged V-6 that doesn't penalize fuel economy—assuming you're light on the throttle. The EPA rates those models at 17/23/20 mpg. Finally, there's the Mercedes-AMG GLE63 and GLE63 S. Those models manage 13/17/15 mpg, according to the EPA. The efficiency champ is the GLE550e plug-in hybrid that is rated at 21 mpg combined. 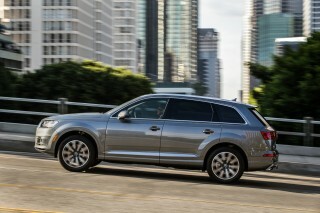 By comparison, Audi's Q7 manages 21 mpg combined with a V-6 and all-wheel drive. 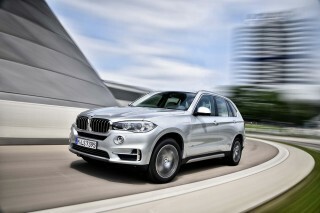 BMW's X5 manages 20 mpg combined, according to the EPA.